Los Muertos founder Anthony Perez worked as a Quality Analyst for 15 years with Wells Fargo Home Mortgage/Equity. After many years of friends and family telling him he should sell his salsa, he decided to sign up for the Nana’s Salsa Challenge in 2014. With all the positive feedback from the crowds of people who attended, he had a new passion! After talking to his family about selling the salsa full time, he quit Wells Fargo and as of January 2015 he began selling in local farmer’s markets throughout the valley. All of the salsas originated from family recipes which Anthony has put his own twist on. Increasing in popularity, Los Muertos Salsa has won many awards in the Phoenix, Casa Grande, Maricopa and Prescott areas. Currently they sell Mild, Hot, Effen Hot and Green Tomatillo salsa. 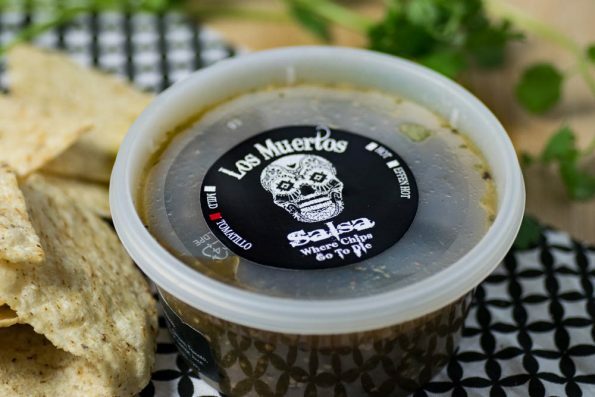 Like so many of our discoveries, we first tried Los Muertos Salsa at the Old Town Scottsdale Farmer’s Market. We tend to be super picky about salsa but something about the look of them drew us over to sample. We were floored! There was so much flavor packed in their salsas that we took home an Effen Hot and Tomatillo salsa that day. Not going to lie, the Tomatillo salsa didn’t make it through one sitting! 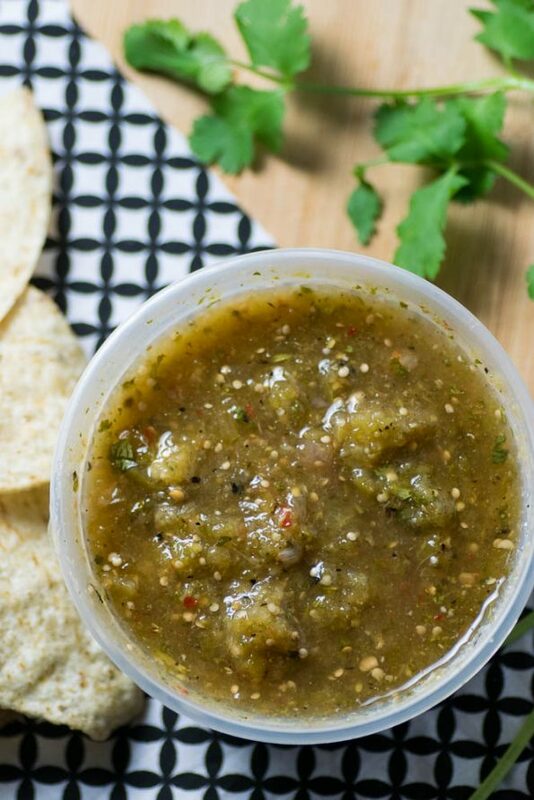 We typically buy 2 Tomatillo salsas at a time now because we go through them so quickly. Let us tell you something else, we eat a lot of spicy food (ghost peppers, hatch chiles, etc) and Effen Hot is really spicy! It was so refreshing to find salsas that deliver the heat promised without compromising the flavor! These salsas are everything that is great about homemade salsa without having to do all of the work yourself! 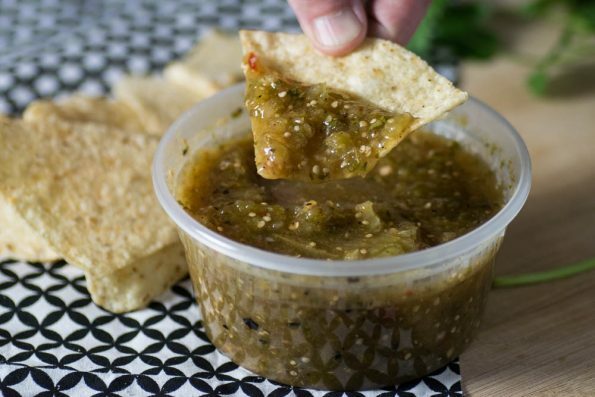 We foresee a lot of Tomatillo salsa being eaten poolside this summer! Los Muertos Salsa is currently being sold at Uptown Market, The SkySong Market, The Capital Market, Carefree Market, Downtown Farmer’s Market, Old Town Scottsdale Market and the Anthem Farmers Market.They are now selling their mild and hot salsa in the Open Air Market Café and their salsa is being used in some recipes at Oliver’s Sophisticated Bean Café. A bit of advice: get to the Farmers Market early because Los Muertos sells out of their salsas quickly!